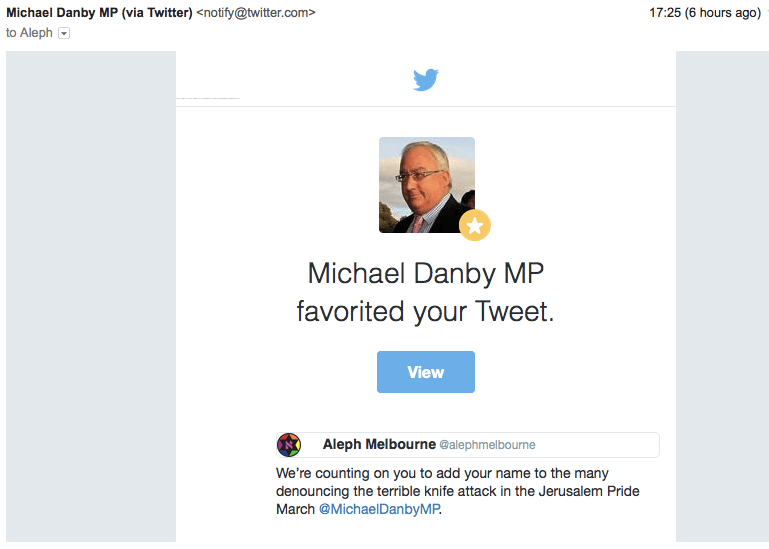 We’re counting on you to add your name to the many denouncing the terrible knife attack in the Jerusalem Pride March @MichaelDanbyMP. This entry was posted in GLBTIQ, Human Rights, Middle East and tagged Jerusalem Pride March, Jerusalem Pride March attack, Michael Danby. Bookmark the permalink.